RHR: What's the Best Diet for Diabetes? If you have diabetes, you’ve probably gotten contradictory advice on which diet can help you manage it. While there isn’t one diet that will work for everyone, there are some changes you can make today that will help. 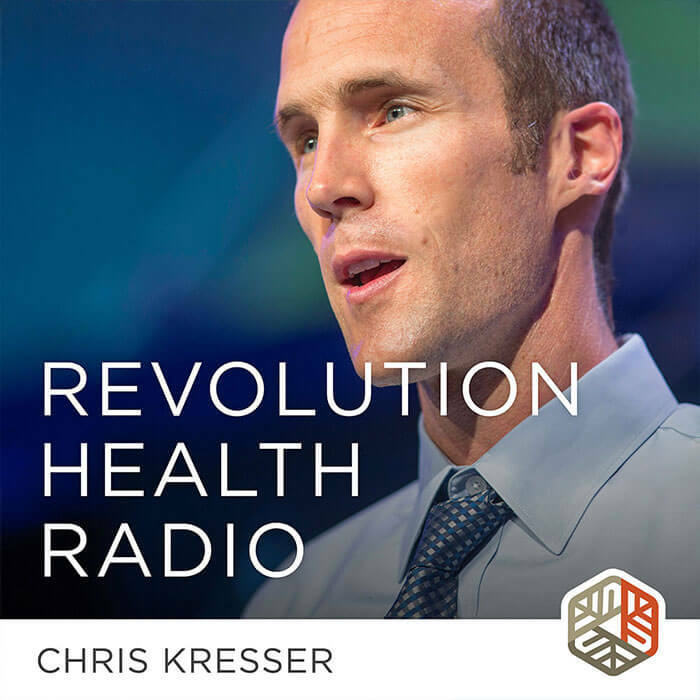 In this episode of Revolution Health Radio, I explain why there isn’t a one-size-fits-all approach to managing diabetes, and I talk about how to determine which diet is right for you. This is Chris Kresser. Welcome to another episode of Revolution Health Radio. This week we are going to answer listener question from Patrick, let’s take a listen. Thanks so much Patrick for sending in that question. It’s a great question and I completely understand why you’d be confused. There are both sensible reasons for that, I think, and there are some frustrating reasons for that as well. A Mediterranean diet can be effective. Of course the other obvious thing about this is that all of those diets are far, far better than the Standard American Diet which is what the vast majority of people in this country in the industrialized world at this point are following. If you take a highly refined and processed flour and other foods out of people’s diet, you remove sugar, you remove industrial seed oils, and you replace that with some combination of whole food, nutrient-dense choices like fish or meat, various animal products, nuts and seeds, and fruits and vegetables and some starchy plants even, that is going to be an enormous difference regardless of whether you’re talking about a combination of those foods that’s even vegan or vegetarian, Paleo or a ketogenic, Mediterranean or some combination or twist on any of those approaches is going to be a vast improvement over what the majority of Americans are doing. The other question is, what is the time frame that is being discussed in terms of the therapeutic effect of the diet? There are many diets that can be effective in the short term. We know this. Most of the diets and randomized trials that are looking at the effectiveness of diets are short term lasting only a few weeks. But there are now some some longer-term studies that have shown diets to be effective over a six-month to one-year to even 18 months to two-year period. I think the low-carb diet overall performs a little bit better in those longer-term comparisons than a higher carb, lower fat approach for both diabetes and weight loss, but it’s not a huge difference. The other thing is, what is the quality of the foods that is being consumed? I think this is the most important factor and I’ve again written quite a bit about this. If you if you Google “Kresser quality over quantity” you’ll see some articles that I’ve written in the past few years. Historically we have fallen into this trap of what some call “nutritionism” or nutritional reductionism which is the idea that a calorie is a calorie, a carbohydrate is a carbohydrate, a fat as a fat regardless of the source of those macronutrients. Carbohydrate coming from white flour and sugar is no different than a carbohydrate coming from a piece of whole food or sweet potato. Now I think if you say that to most people though they’ll intuitively know that that’s preposterous and not the case and it doesn’t fit with their experience at all. But that’s really the assumption that most nutritional research has has made and has based on for the last several decades really. It’s only been recently that we started to see some studies that are actually designed to measure the impact of changing food quality rather than just the quantity of micronutrients that are consumed. One was the Gardner Study of Stanford and they it was a randomized controlled trial that lasted for a year. They assigned randomized people into two groups, one was a low-fat group and one was a low-carb group, only the difference with this study compared to others was that they gave people specific instruction on what types of food to eat. No processed and refined foods, focus on nutrient-dense whole foods so that they weren’t just addressing quantity of macronutrients, they were addressing quality. What they found was that both groups lost weight after one year. It’s quite a significant amount of weight, but there was not that much of a difference between weight loss between the low-carb and the low-fat group. That was a phenomenal study that proved that quality is much more important than quantity when it comes to weight loss especially over the long term. There’s a ton of argument, controversy, and just heated discussions on the internet about whether low carb is better or keto or low fat or vegan or Paleo, it’s really quite sad actually because when you look at the data, what you find is that many of these approaches can be effective at least especially with the shorter term but even long term and then the question of which one is the best fit for you to follow as an individual comes down to your own individual circumstances, needs, and goals. Also, it comes down to other considerations. I believe that a vegan diet is potentially dangerous over the long term for many people because of the potential for nutrient deficiencies if supplementation is not being done wisely and blood markers are not being tracked to make sure that the supplements are meeting the nutritional deficiencies because in many studies for example up to 70 to 80 percent of vegans were deficient in B12 even when they were supplementing. We start to get into other considerations for which of these diets is best over the long term that aren’t necessarily related to their efficacy in treating diabetes in studies or especially in the short term and other considerations might be, does that person just feel better on a higher-fat, lower-carb diet which is certainly the case for many people or do they have another condition or set of conditions that might actually contraindicate a very high-fat, low-carb or ketogenic diet. For example, do they have Hashimoto’s and HPA axis dysfunction or so-called adrenal fatigue? Are they pregnant or are they trying to get pregnant or nursing? There are so many other considerations that go into what the best choices even if the person does have diabetes and addressing their blood sugar and weight issues is the primary goal, there are always or often other conditions that are present too. Many people with diabetes that’s not the only thing that they have going on. You have to look at all of those other factors and then consider what the best approach is over the long term based on those factors. It’s really no wonder you’re confused. I think anybody who’s been following me and just general internet headlines about diet would absolutely be confused because you see apparently contradictory headlines all the time, but when you get beneath the surface and you start to consider some of the nuances that I’ve been talking about and just comparing most dietary interventions they’ve used in studies versus the Standard American Diet that most people are following today, you can see how this is actually not confusing really. It makes quite a bit of sense that people would lose weight and improve their blood sugar when they go on virtually any diet versus the standard American approach. I think that really brings us back to where we started with this show and what I’ve been kind of harping on about for years now which is the key to success over the long term for anybody no matter what condition they’re trying to address or whether they’re just trying to optimize their health and create an approach that works best for them is to individualize and customize what they’re doing for their own circumstances and needs. 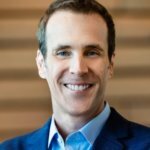 I’ve been treating patients now for almost a decade and for over a decade actually and I‘ve been training thousands of healthcare practitioners from around the world and have a lot of exposure to their caseloads and what’s happening with them and the more I do this work the more convinced I am of this fundamental truth that you really can’t figure out the best diet for you by just looking at what other people are doing or listening to gurus who are really passionate about a particular approach. We see a lot of this on the Internet—people who are convinced that everybody should do a particular diet whether that’s vegan, Paleo, low-carb or keto. My advice to you is to run fast from anyone who makes that suggestion because I think those people are not being intellectually honest about what the research says or even their own experience if they’re working—or they just haven’t worked with a lot of clients or patients because as soon as you start working with real people, you quickly find that there is no-one-size-fits-all approach and there’s no single diet approach that will work best for every single person. Working with a nutritionist, a dietician, or a Functional Medicine practitioner who is up to speed with a number of different approaches that can be effective in certain situations and knows how to do a comprehensive evaluation based on your health history and do some initial testing blood work and other types of testing to create an individualized prescription for you is kind of the optimal approach. That, I understand, is not available to everybody for various reasons, so another way to get at that same information is to do some experimentation, either on your own or under the guidance of a health coach or a nutritionist where through listening to this show and reading my articles and other people’s work and listening to other shows, you basically come up with a hypothesis about what might work well for you given your situation. For example, if you do have type 2 diabetes and you’re overweight and that’s the main issue and if you follow some of the research and work that’s suggesting that lower-carb and ketogenic diets may be effective, you give it a shot, you see how it works, you see what symptoms improve and if any symptoms get worse and then you basically tweak as you go. I mean it’s certainly easier to do with guidance but many people out there have been able to figure this out just by listening to podcasts and reading books and online articles. Although that isn’t optimal, I think it’s perfectly legitimate and sometimes the only way forward for some people depending on their resources and what they have access to. The key thing that I want to get across here is just whether you’re working with a practitioner who’s helping you to create an individualized approach or whether you’re doing it on your own, really be rigorous about it and don’t accept what your friend, your cousin, or even the healthcare practitioner that you know and trust or respect says will work unless you have tried it and you have seen if it works for you because ultimately your body is the final arbiter and will be the decision-making authority in terms of whether it works or it doesn’t work. I’ve seen so many people that have been harmed by standardized diet advice and prescriptions and these people often end up in my clinic a couple of years after they started a program that was totally not right for them. But they kept doing it because they were told to do it or they believed it was best based on what they had read. I would just love to save those of you listening to this from that fate because it doesn’t have to be that way. Thanks again Patrick for sending in the question. It’s a great one. I know a lot of people are also confused understandably and I hope this was helpful in charting a clear path forward. Thanks for listening everybody. Continue to send in your questions at chriskresser.com/podcastquestion and I’ll see you next time. Now, I’d like to hear from you. Have you tried a low-carb, low-fat, or Mediterranean diet to manage your diabetes? What were your results? Comment below and let me know.